The Sixes river has been a long time attraction for fall and winter king fishing for years. Thousands of Chinook enter the river in the months of November through January. Also in December healthy numbers of steelhead start to show offering excellent steelhead fishing as well. While October and early November are prime time on numerous Oregon waterfront streams, late November through January is the top of the salmon and steelhead runs on the Sixes river and offers significant catch rates. For late fall salmon and winter steelhead the Sixes river is definitely the place to be. 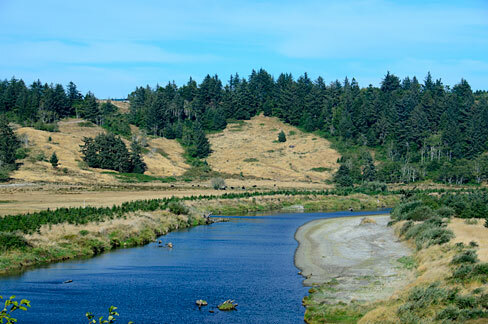 Open for Chinook salmon and steelhead Jan. 1-March 31 and May 23-Dec. 31. In Formation: Pretty well spread apart with clustering in certain locations as always eye protection recommended!